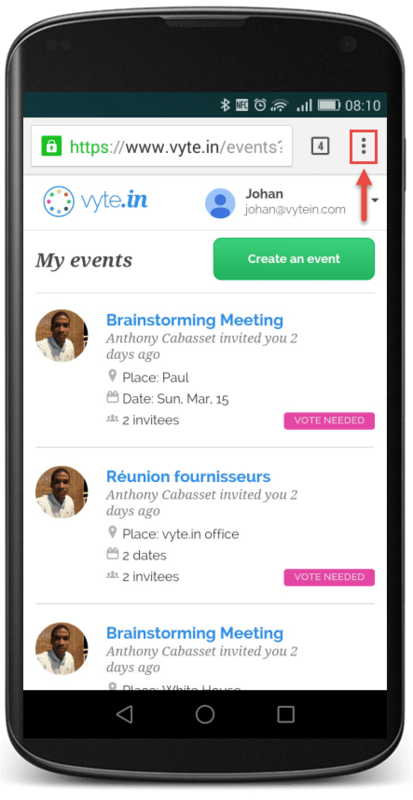 On your Android device, you can update or plan your meetings with vyte.in. You just need to create a shortcut on your homescreen, touch it and handle your meetings. 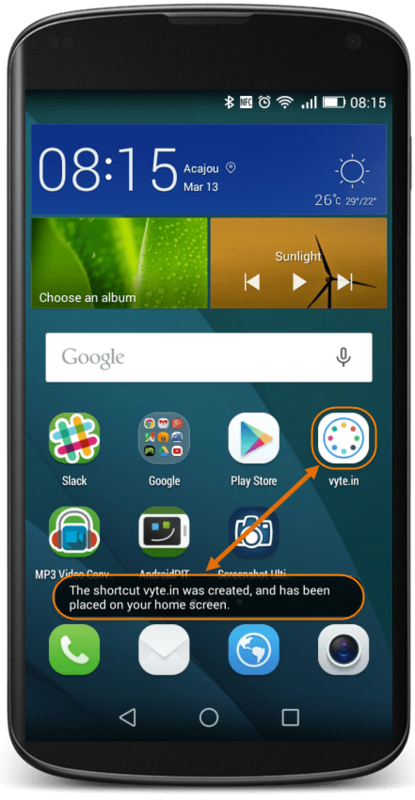 Here is a small tutorial to help you add vyte.in, on your android device’s homescreen. 1. 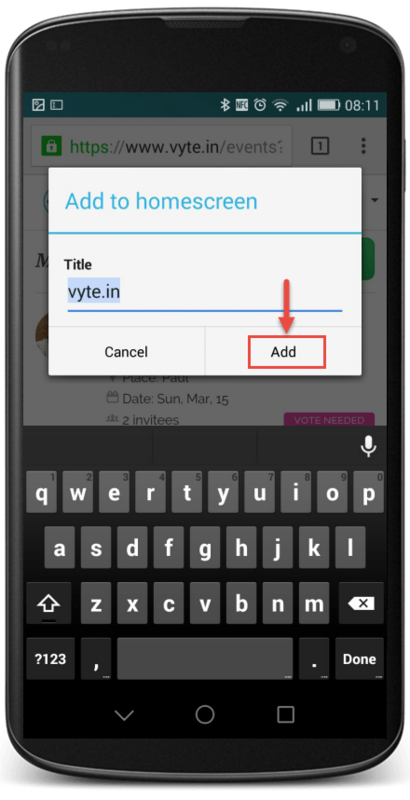 In your android device, login toyour vyte.in account, and go to your events page : vyte.in/events. Then touch in the top-right of the screen. 4. 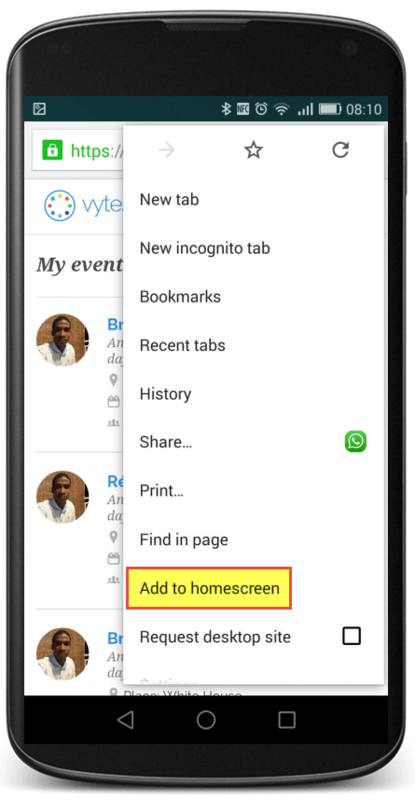 You added your vyte.in shortcut to your android device’s homescreen. Just click on it to access your vyte.in events page quickly. Hope this article was interesting for you, let us know if you have any question about it.